by registering and paying for two classes at once. Jennifer joined the Doggy Haven team in July of 2017. 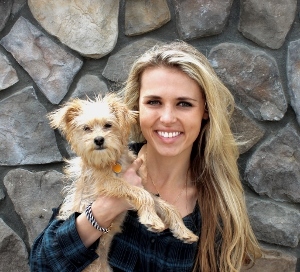 She currently is a dog trainer, working closely with trainer Kim, teaching orientation and levels classes. Jennifer has spent all of her life around athletics and because of that spent time coaching. She decided to take her passions for teaching and dogs to the next level by entering the apprentice program. Her favorite dogs are black labradors because of their loyalty, young spirit, and active nature. She is pictured here with her 13 year old first love, Pointer, who passed away December of 2016. Kim is a Certified Professional Dog Trainer (CPDT), a Fear Free Certified Animal Trainer, an AKC CGC Evaluator and a member of the Association of Professional Dog Trainers (APDT). She has been at Doggy Haven since March of 2003 and worked her way through the ranks to become Training Manager as of July 2013. Kim helps train the employees about dog body language and behavior as part of Doggy Haven Resort’s continuing education program for employees. She is also one of the instructors for group classes, works with board & trains, daycare & trains and also offers private lessons at Doggy Haven Resort. She loves to attend training conferences and seminars as part of her continuing education. Outside of work, Kim enjoys hiking with her dogs, yoga, jogging and snowboarding. 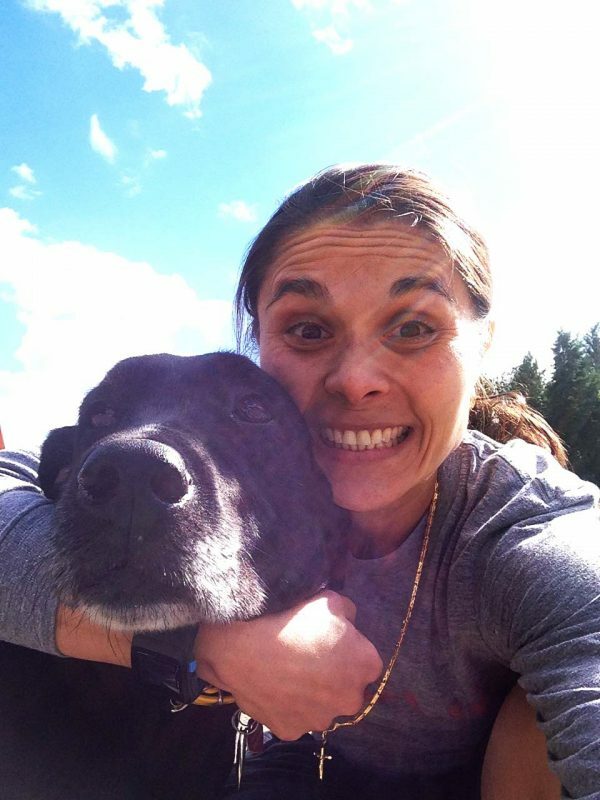 She and her husband live in the Mill Creek area with their four dogs – Angus (Mastiff), Aloha (Shar Pei mix), Hula (Terrier mix) and Radar (Cane Corso). Kim’s students are lucky to have the best of both worlds: a savvy and motivated dog trainer as well as a kind, supportive, humorous people person. Mikkel (pronounced ‘Mc-Kel’, or she also goes by ‘Kel’ for short) is a certified trainer and behavior consultant. Mikkel specializes in preventive and interventional training and behavior modification with dogs and cats that’s done in collaboration alongside the pet’s veterinary team. Mikkel is the lead animal trainer for Fear Free Pets and Fear Free Happy Homes. Mikkel is also the coauthor of six books, including the newest release, From Fearful to Fear Free. Mikkel was also the resident trainer for vetstreet.com <http://vetstreet.com> as well as the resident trainer for veterinary behaviorist Dr. Wailani Sung. In her professional work, Mikkel uses positive reinforcement and non-force training strategies based in scientific learning theory. She is an honors graduate of the rigorous and prestigious Academy for Dog Trainers at the San Francisco SPCA, a graduate of the Purdue University Dogs and Cats course, and a graduate of the Karen Pryor Academy. Mikkel completed an internship at Jungle Island in Miami where she specialized in positive reinforcement and enrichment efforts with orangutans. Mikkel also shadowed Dr. Nicolas Dodman and Dr. Stephanie Borns-Weil at the Purdue Animal Behavior Clinic. As the daughter of Dr. Marty Becker, “America’s Veterinarian,” it was natural for Mikkel to ultimately choose a career working with animals. The Becker family is blessed to be able to collectively help champion Fear Free efforts that are aimed to protect and promote the emotional wellbeing of animals in all aspects of life; including at the veterinary office, during grooming, in training, and in the home. A resident pet expert for Scholastic Magazine, Mikkel has been a contributing author for Parade magazine, Knight Ridder newspapers, Real Simple, Woman’s Day, House and Home and Cat Fancy magazines. Becker was the featured trainer for ABC News Now, and did regular segments on Good Morning Northwest. She currently does frequent media interviews for various platforms, including Amazing Animals on Nat Geo as well as locally at KOMO News. Helping shelter pets both find and remain in a forever home is another important part of Mikkel’s mission. As the National Disaster Search Dog Foundation’s canine evaluator for Washington State, she tours shelters looking for homeless dogs to turn into lifesaving search dogs. 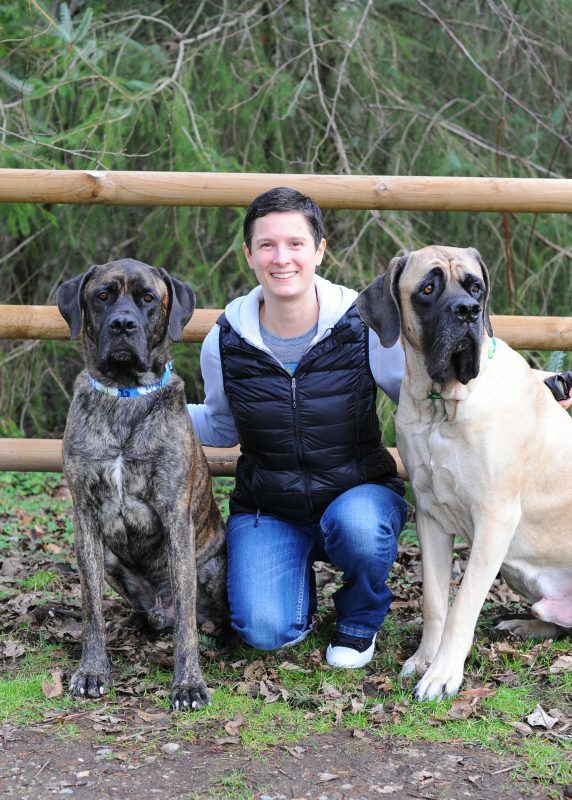 She also is the dog and cat behavior consultant at Homeward Pet Adoption Center in Woodinville, WA, where she helps pet owners solve behavior issues and prevent surrender. Mikkel now lives in the Seattle area with her husband, Ben, her daughter, Reagan, and their Puggle, Indiana Bones (Indy), and their horse, Chili. Nikki TeSelle is a certified trainer who joined Doggy Haven in March of 2017, she’s now teaching Feisty Fido and Levels classes, with a focus on cautious canines and rescue dogs that need a little extra help in their new home. Nikki stays current on the latest in positive reinforcement training and theory by attending seminars and workshops throughout the Northwest. Ever since she was young, Nikki had a passion for animals, growing up as the only child in a family with lots of pets – dogs, cats, birds, hamsters, frogs, etc. She transferred this passion into a career by attending the Karen Pryor Trainer Foundation and becoming a Certified Training Partner of Karen Pryor Academy (KPA-CTP); she is also certified in Pet First-Aid and CPR. Nikki is currently continuing her education in dog training and animal behavior and is excited to take the Certification Council for Professional Dog Trainers (CCPDT) test very soon. Nikki lives in the Mill Creek area with her husband, Mike, and two beloved Siberian Huskies, Koda and Meika. 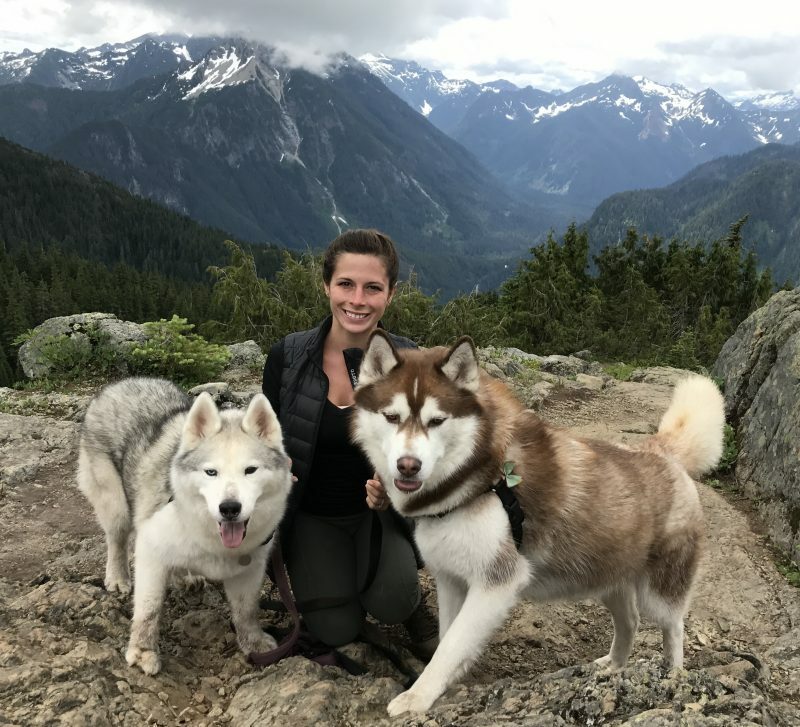 While she and her husband enjoy traveling all over the world, they especially enjoy hiking alongside their huskies whenever they get the chance.